If you've done your homework on this nutrient, you'll know that beta-carotene easily converts to vitamin A. So why is it separated from vitamin A on this immune system vitamins list? Because it seems to be more efficient acting on its own as an antioxidant (so it's definitely worth a notable mention). As an antioxidant, it works diligently to enhance and strengthen the immune system. 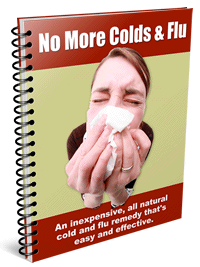 It works great when it comes to battling chronic infections and viruses. Research has shown that beta-carotene doses of 30 mg and up dramatically enhanced the immune system. So eat up those carrots, broccoli, tomatoes, squash and leafy greens. If the above foods don't interest you, then go for the supplement. Although make sure that you are taking a natural form of beta carotene. Natural formulas appear to be much better for you than their synthetic counterparts. Your best bet would be to find a supplement that provides its carotenoids from the algae Dunaliella salina (D. salina) and take 10,000-25,000 IU per day. These vitamins are fat-soluble and thus are better absorbed when taken with fat. And don't worry about consuming too much betacarotene or the other carotenoids. The worse that will happen to you is you'll turn a little orange! Although perhaps rather alarming, this is simply the result of your body storing the nutrients harmlessly in fat cells under the skin. So don't freak out and ban it from your immune system vitamins list. It is completely reversible, just cut down on your consumption. As well as boosting the immune system, the carotenoids are excellent antioxidants that can protect you from cancer and heart disease.